I'm back. Our quest for the best of the best in Linux/FOSS of 2008 will resume by presenting to you some of my favorite blogs of the year. The best Linux/FOSS "personal" blogs were selected based on their popularity, frequency of updates, and the quality and consistency of their posts/articles. I emphasized the word "personal" since I focused on the more casual but noteworthy blogs, and didn't include those well-established blogs with plenty of serious authors/writers like Linux Journal, Linux.com, Ars Technica(Open Ended), etc. * Blogbeebe - The odd journey of a Georgia Cracker in Florida. * Dedoimedo – A place to learn about a lot! * Linux Loop - Keeping you in the loop with Linux news, reviews, guides, and more. 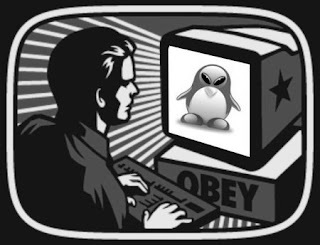 * The Linux and Unix Menagerie - Dedicated to keeping Linux, Unix and scripting Languages Alive! Which do you think is the best Linux/FOSS blog of 2008? I just wanted to say thank you for mentioning my blog in your posting - it's very kind of you. Hi, my name is Markus McLaughlin, I started my own Linux Blog : linuxglobe, I am not a Programmer nor am I total Geek. I love LINUX and I wanted to learn it so I can help others who know NOTHING about LINUX. That is why my Blog's motto is "Linux News For Everyone NOT Just IT Folks." I started recording audio podcasts for it as well, the archived 2008 podcasts will be ready for downloading this weekend. I hope in 2009, my Blog will be mentioned if not included in your 2009 Best List. I just want a mention so more people can enjoy it and perhaps I can recruit others to contribute to my blog as well. My main goal is to publish a national print magazine a la the UK's Linux Format, in Boston. It can be bought at any local store or airport that has a newsstand. I know that sounds crazy but I am determined to work toward that goal! Happy Linuxing in 2009!! !